As parents we want to make sure our child has the best start in life and to protect them against harm. What if the harm was loud sound though? Most parents do not realize the damage that can be caused while your baby is still developing. What is the worst part is once your child’s hearing is damaged they can’t get it back. 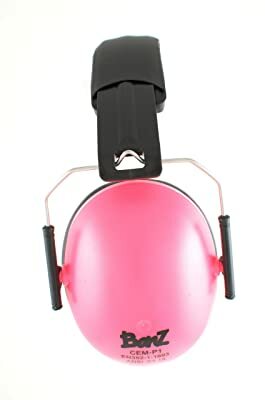 The good is that there is protection on the market for your babies hearing that is perfect for any loud event that you go to. Many experts agree if you are exposed to anything louder than 85 decibels for a continued period of time, there will be hearing damage. So you have a good understanding about the decibel range, a normal conversation is around the 60 decibel mark while whispering is 30 decibles. A vacuum cleaner can even produce 85 decibels. Once you are exposed to 110+ decibels for as little as 90 seconds, serious damage can occur. Things like fireworks or loud events can produce loud noises that your baby will need protection for. 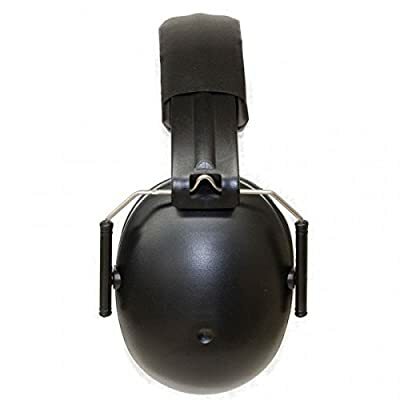 Let’s take a look at some of the different types of hearing protection on the market shall we? On the market the best protection we have found are protective earmuffs. They cup each ear of your baby and offer a NRR (noise reduction rating) of up to 20+. One thing we do recommend is that make sure that you get proper fitting protective earmuffs for your baby. If the earmuffs don’t fit correctly the hearing protection is diminished tremendously. 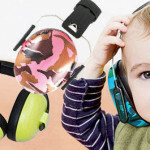 We have selected 5 protective earmuffs for your baby and we believe these are the best solutions on the market. Each are reasonably priced and are made from quality parts. Let’s take a look at the top 5. 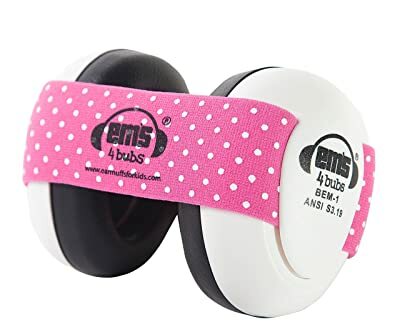 For our first selection we have chose the Baby Banz hearing protector earmuffs which meet the American National Standards Institute. What we love about the Baby Banz is that they cup little ears perfectly and have a nice foam cushion. One of the most important things besides protection for your baby should be comfort. 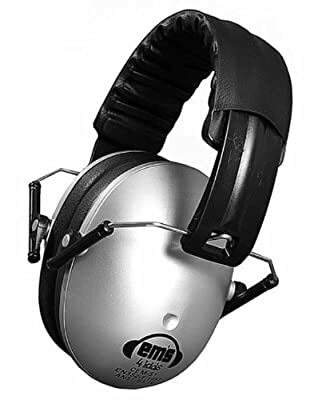 We recommend these for any sporting event or anything around the house that produces loud noises. The Good: These are made of quality materials and withstand frequent use. Any baby 3 months or older will be calmed when using these. The Bad: These may be a little heavy on your babies head causing discomfort over long periods of time. These are designed for toddlers 6 months and older and are very light weighing in at only 190 grams. They come in three different colors and are small enough to fit in the palm of your hand. What we love is that they fold up and are easy to transport to any event. These are very adjustable and comfortable for your toddler to wear. We give these two thumbs up. The Bad: The padding is a bit smaller and if the ear muffs are not put on correctly they will come off your toddler. 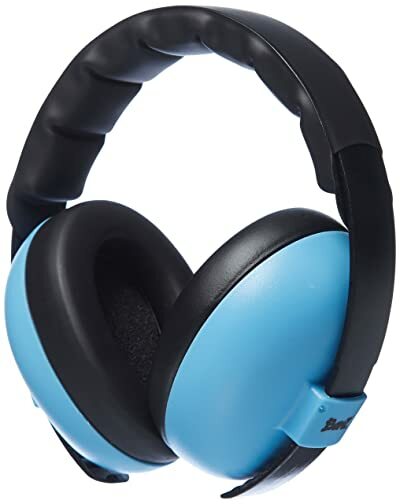 Another great earmuff, these are designed for 6 months and older. By looking at the picture you can see that comfort and protection were taken into consideration. If you look at the headband you will notice that it has breath ability and is very flexible. This is a great feature when considering that your toddler might have sunglass on to protect their eyes. What we love is that these are made for kids of all ages so you won’t have to purchase a new pair when your baby gets older. The Good: These are very light weight and the ear cushions are comfortable. Also being able to fold up makes these easy to pack. The Bad: These may be too tight for some children but can be fixed by stretching them out over a chair. These were specifically designed for newborns to infants of up to 18 months of age. The fully adjustable band makes putting these on your infant a breeze. These are also certified by the American National Standards Institute. Being made from quality parts you can trust, these are the smallest earmuffs in the lineup. These are perfect for protecting your new addition from any loud sounds in the environment. The Good: Coming in different color options, these are perfect for protecting your newborns developing eardrum and gives you peace of mind. The Bad: If your child likes to squirm a lot then make sure you keep a close eye on them so they don’t take off the hearing protection. Also, they will outgrow these so we do recommend check out our hearing protection for kids guide. The last of our line-up we have a unique approach to hearing protection. These ear muffs are made 100 percent out of plastic which makes these easy to clean up. Another great thing we noticed is the NRR of 31, which is amazing. I guess we just save the best for last. These are perfect for you 0-2 year old and will keep your baby safe at any event or household chore you are working on. The Good: These come in multiple colors and are easy to wash being made from plastic. These are also very comfortable so your baby won’t notice them while they are on. Your baby should get the best out there without you having to break the bank. Always check the materials used and what kind of NRR each ear muff has before purchase. There are many great solutions on the market, just make sure you do your research before you buy.